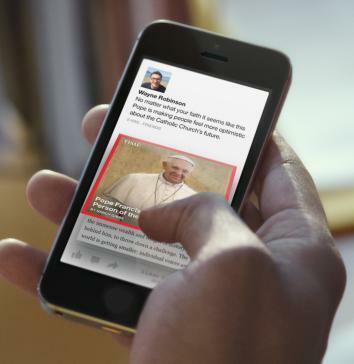 Facebook Paper app: It's not a news reader, it's a Facebook reader. “Paper” Is Facebook by Another Name. That Might Be a Good Thing. Paper is not so much a news reader as a different way of using Facebook. From the time that Google killed off Google Reader (R.I.P. ), there has been speculation that Facebook was working on a sort of news reader of its own. In a way this seemed odd, because Facebook already is a sort of news reader of its own, albeit one in which much of the “news” is about your friends’ cats, babies, and vacations. And it’s getting newsier all the time. Why, then, would Facebook want or need another product that does the same thing? 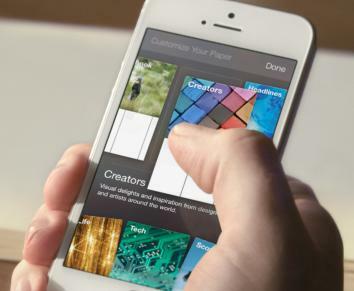 Well, today Facebook launched that new app, called Paper, and it looks gorgeous. The company’s best designers have clearly been hard at work designing a mobile app that makes the best possible use of a small screen. Photos and videos appear at full-screen size. You navigate by swiping, a natural motion that mobile news-reading apps like Flipboard have employed to great success. Stories and updates from your friends appear in the form of cards that can be readily scrolled, shuffled, maximized, and minimized. Here’s the thing: It’s still not clear what’s so different about this app from the wildly successful mobile app that Facebook already has. Is Paper essentially just a simplified, prettified version of Facebook with a different name? In short, yes—but that might be a good thing. First of all, as big a hit as Facebook’s mobile app is (and as the company’s latest quarterly earnings demonstrate, it is a huge hit), it’s far from the most aesthetically pleasing thing in the app store. Nor is it optimized to offer a pleasurable reading or viewing experience. And finally, as much as people check Facebook on their phones, they tend to sort of hate themselves for doing it. The Facebook app works best as a simple tool for checking in on what friends are up to, or to quickly share your own photos or status updates and see what your friends are saying about them. It’s great for pulling out of your pocket and glancing at the little “notifications” icon to make sure you haven’t missed anything important. Paper, meanwhile, may be better for the occasions when you actually have a little time to read some articles, watch videos, and so forth. It represents a way for Facebook to go after the Flipboard audience without detracting from the utilitarian functionality of its main app. 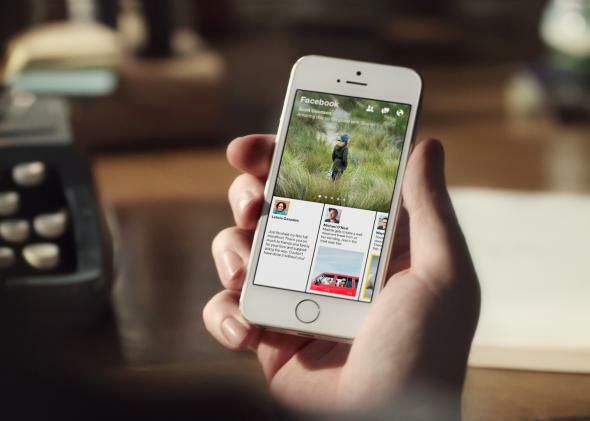 You can flip back and forth between Facebook updates and news stories on different topics. But there’s a second thing that’s different about Paper: It’s manually customizable, giving users the ability to swipe between content sections like “Tech,” “Planet,” “Headlines,” and “LOL.” That positions it as a possible answer to one of the loudest user criticisms of Facebook over the years—that, for all its advanced algorithms, the News Feed never seems to show you exactly the kind of things you want it to show you. The app lets you choose the categories you’re most interested in. It’s too early to tell whether Paper will really catch on, especially since it won’t be available in the app store until Feb. 3. Remember, it was less than a year ago that Facebook launched another beautiful-looking mobile product, called Home, which turned out to be a resounding flop. It’s possible that a lot of users want less Facebook in their lives, not more. And it may be that when people want to read the news, they’d prefer to read just the news, not the news combined with their friends’ Facebook posts. That said, the basic idea of launching standalone apps—of which Mark Zuckerberg has promised more in the years to come—is a smart one for a company whose biggest problem may be the public’s fatigue with its primary brand. Note that Instagram has not seemed to suffer from the same complaints about coolness as Facebook, even though it’s part of Facebook. Paper doesn’t look “cool,” per se, but it does look different from Facebook. For some people, that may be reason enough to give it a shot. *Update, Jan. 30, 12:06 p.m.: Note that the app will only be available for iOS at launch. Android users appear to have been snubbed for the time being.